St. Joseph’s Family Center is the area liaison to homeless services. While we do not own housing or operate a shelter, we can provide you with links to area services, both in Gilroy and throughout the County. We work with the County of Santa Clara and Valley Transportation Authority (VTA) on the United Pass for Life Improvement From Transportation (UPLIFT) Transit Pass Program. This program provides quarterly transit passes to adults experiencing homelessness or who are at risk of homelessness. 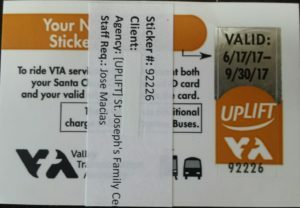 The goal of UPLIFT is to help people get housing or employment by improving access to public transit. Client must be homeless or seriously at risk of losing their housing due to lack of transportation. Client will adhere to program rules, which includes agreeing to participate in case management services. Client agrees to sign Release of Information form. Client, with authorization, will have limited personal data input into the Homeless Management Information System (HMIS) – a county-wide database. The County allocates a certain number of passes to each agency, so availability is limited. 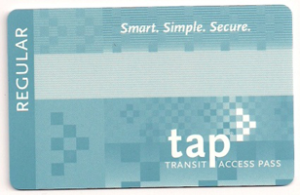 Working with the VTA we can provide Transit Assistance Passes (TAP) monthly at a nominal cost to qualifying low-income individuals. Through the TAP program a $25 monthly VTA bus pass (normal cost $70) is provided to qualified individuals. Participation in this program could become a lifeline to the working poor. For more information contact Jose Macias (408) 842-6662 x28. Appointments are strongly encouraged in order that we can best assess your situation and needs.